Many people remember Craig Kielburger as the scrawny, strident boy who challenged Prime Minister Jean Chrétien to take a stand against child slavery during a Team Canada trip to India. Kielburger’s precocious press conference hijacked Chrétien’s Asian tour and launched the young activist on a change-the-world odyssey that continues to unfold. Today, he’s often congratulated for his masterful plan to confront the prime minister overseas. But the triumph that launched him was pure happenstance. “It was blind luck,” Kielburger said in a recent interview to mark the 20th anniversary of Free The Children, the $40-million-a-year charity that he has nurtured from its infancy. Kielburger didn’t know Chrétien would be in India until a few days before the prime minister landed, which is when he formulated his plan to hold a press conference and demand a meeting. “When you’re 12, you don’t know any better,” he says. The vast majority of charities never amount to much. The charitable sector is dominated by large, established institutions — the United Way, the Salvation Army, the Red Cross, Goodwill Industries, UNICEF — that make it difficult for newcomers to take root and grow to scale. In the U.S., only one per cent of the country’s 1.1 million charities have annual budgets that top $1 million. Similarly, most of Canada’s 86,000 charities are small operations. But driven by the relentless ambition of Kielburger, and his older brother, Marc, Free The Children has managed to overcome those odds through a combination of luck, daring and business-savvy. The charity recently embarked on an internal review process to identify what it hopes to accomplish in the next two decades. Not surprisingly, the Kielburgers have set themselves an outsized target: to modernize the education system. Although their plan is still being formulated, the Kielburgers want to dramatically increase the charity’s educational footprint — its programs are already in about 8,000 schools in Canada, the U.S. and the U.K. — while promoting “21st century learning skills:” critical thinking, critical research, problem solving, leadership, perseverance, grit. 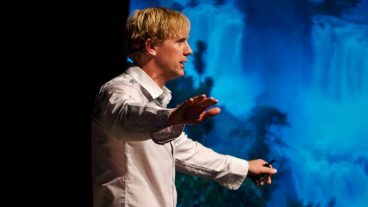 “The nature of education fundamentally has not changed in a century — and I say this as someone whose parents are both teachers,” says Kielburger. The goal might seem improbable, yet it’s hard to bet against the Kielburgers when Free The Children already represents the unlikeliest of success stories: a kids’ group that transformed itself into one of Canada’s signature charities. In late April 1995, a dozen 12-year-olds gathered around Craig Kielburger’s kitchen table, north of Toronto, in response to his classroom appeal for help: he wanted to do something about the murder of a young activist in Pakistan, Iqbal Masih, who was working to end child slavery. The students decided to form an activist group. Kielburger organized his own tour of Asia to get a first-hand look at child slavery. That endeavour — Kielburger celebrated his 13th birthday while travelling without his parents to Bangladesh, Thailand, Nepal, India and Pakistan — would culminate in his encounter with Chrétien and provide Free The Children with a flood of free publicity, including an appearance on the U.S. news program 60 Minutes. Donations rolled in: quarters and loonies taped to letters from other children. Income from Kielburger’s book and speeches bolstered the fledgling charity, which railed against corporations that condoned child labour, rescued and housed child slaves in India, built and repaired schools. Still, Free The Children came perilously close to bankruptcy in those early years. “We had just $18 in the bank account at one point,” remembers Kielburger. The charity discovered the depths of its financial trouble only after losing its first-ever executive director, who had been brought in to make the children-run charity more attractive to big, institutional donors. That plan didn’t work — most big investors still didn’t trust kids with their money — so Free The Children refocused on its core audience: young people. The charity closed its rented offices and relocated to the Kielburgers’ home while rallying its student base through awareness campaigns, fundraising drives and online appeals. The charity’s young donors kept it afloat while Kielburger pursued the major gifts that would ultimately finance its growth. Among them was Marc Kielburger, a Rhodes scholar who turned down rich offers from Wall Street to join the struggling charity after graduating from Oxford University with a law degree. “I owe an enormous debt of gratitude to Marc: He came at a critical moment and took a leadership role,” says Kielburger, 32, who gave up his own dreams of a medical career to devote himself to Free The Children. In its early years, the charity wrestled with the direction of its overseas mission. Free The Children then funded organizations that raided factories and quarries in India to free children sold into slavery. All too often, however, Kielburger discovered rescued children being resold back into slavery by impoverished families unable to feed them. Worried that Free The Children was becoming just another part of a profoundly unjust economic system, Kielburger sought ideas from freed slaves, their families and local organizations about how the charity could eliminate slavery: They pleaded for better schools and more jobs. So the charity changed direction. It admitted that its initial approach had been a mistake and adopted a new, more sophisticated approach to lifting children and their families from the quagmire of poverty. Although its board of directors worried that the move would compromise its brand, Free The Children launched itself into international development and phased out its slave rescue work. The charity began school construction in Nicaragua, Kenya, Ecuador and India. Those efforts received a major boost in October 1999 when Oprah Winfrey pledged to build schools with Kielburger after interviewing him on her popular daytime talk show. But the charity soon discovered that schools alone did not set free young girls since many were expected to fetch water for their families — a labour-intensive task that left little time for classroom work. To liberate girls, Free The Children began to drill wells next to its schools and install water collection systems to relieve them of the job. Still, there were more problems. When the water systems fell into disrepair, villagers would often sell the component parts in local markets. Free The Children’s field teams discovered that villagers valued the water systems, but believed it was not their responsibility to maintain them since they hadn’t built them. The charity again reworked its development model, putting villagers in charge of the systems and introducing a nominal water fee. The new model ensured villagers had a financial stake in the work, but it also highlighted the depths of their poverty. In response, in 2004, the charity introduced its Adopt a Village program, a broad-based development model that sought to bring schools, clean water, jobs, health care and food security to one village at a time. Free The Children is now trying to cluster its villages to increase the impact of its investments. The model has further distanced Free The Children from its simple, original recipe for change. Yet that willingness to admit mistakes and find solutions has proven critical to the charity’s growth by making it more attractive to new-style philanthropists who value innovation and impact. Jason Saul is the founder and CEO of Mission Measurement, a U.S. firm that assesses the impact of government social programs and charitable initiatives. “Increasingly, what you’re seeing, is a market emerge where the biggest funders — governments, foundations, corporations — they’re not interested in just supporting charities anymore: They’re interested in purchasing outcomes,” he said. High-tech entrepreneurs turned philanthropists such as Bill Gates, Mark Zuckerberg and Jeffrey Skoll demand value and results from their charitable investments, he said. Free The Children has embraced the kind of performance metrics normally used by business to drive efficiencies. The charity has worked closely with Saul’s firm to analyze everything it does. “If you can’t measure it, you can’t prove it, and more importantly, you can’t improve upon it,” argues Kielburger, who holds an MBA from Toronto’s Schulich School of Business. The effort to measure impact has extended even to We Day — the most unlikely part of Free The Children’s success. The stadium-sized event was the Kielburgers’ answer to a warning issued by the Dalai Lama, who said the greatest threat to the world was a new generation of “passive bystanders.” The Kielburgers conceived of We Day as a means to engage young people in their communities, to make them care about their neighbours and the world. Most believed the idea was too saccharine to win converts among cynical Millennials. Yet, improbably, it worked. The first We Day was staged in Toronto in October 2007. Since then, it has expanded to include a year-long program of education and community building, We Act, and has moved into 13 other cities, including London, Chicago, Seattle and San Jose. We Day has leveraged the power of celebrity and pop music to engage students in the world. Mission Measurement has tracked graduates of the We Day / We Act program to assess its long-term impact and found that 80 per cent of alumni were volunteers, 83 per cent gave to a charity every year, and 79 per cent of those eligible voted in the last election. Kielburger believes We Day has succeeded because it offers an open platform — students can pursue any charitable activity under its banner — while acknowledging the power of engaged, educated young people. The program has attracted major corporate donors, including RBC and Telus, and brought stars such as Selena Gomez, Demi Lovato, Jennifer Hudson and Nelly Furtado inside the charity’s tent. “The positive energy is just so palpable: I was genuinely inspired the first time I experienced it,” says Furtado, a Free The Children ambassador and donor who has contributed more than $1 million to school construction in Africa. Craig Kielburger’s energy and optimism continues to fuel Free The Children two decades after its founding. He travels more than 300 days a year in support of its mission. “This is my life; this is my passion,” he says. Like most successful Canadians, however, Kielburger has a chorus of detractors; they contend he’s too preachy, too corporate, too much the Western colonialist. Others complain that Free The Children has used its power and profile to defend the interests of Me to We, the social enterprise with which it is allied, most recently by complaining to CBC about a documentary on the volunteer travel industry that included unauthorized footage of We Day. But not even Kielburger’s harshest critics can diminish his accomplishment: He has taken an idea born at his kitchen table, built upon it every day for two decades, and made it into an enduring force for good. Nelly Furtado calls Kielburger the rare individual who has the courage and conviction to act on youthful idealism.